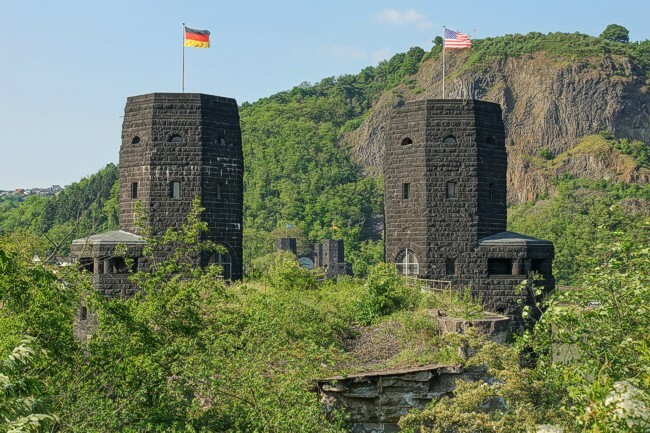 The rail road bridge at Remagen was the first captured crossing of the river Rhein. It allowed the allies to enter Germany. Henk Adriaanse made the trip in 2015. Two bridge heads in one shot.